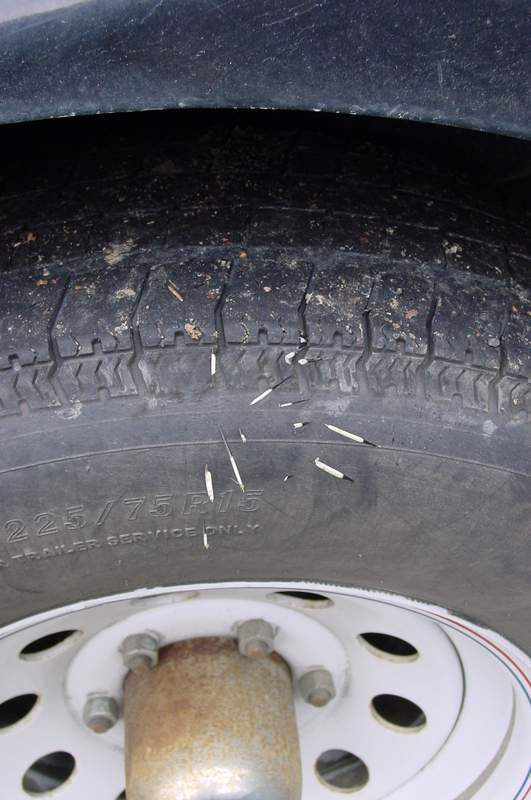 INAE Enterprises | Porcupine needles in tire after close brush with porcupine in road. Porcupine lived. Needles stayed in tire for another 70 highway miles. 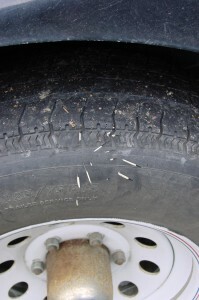 Porcupine needles in tire after close brush with porcupine in road. Porcupine lived. Needles stayed in tire for another 70 highway miles.